The ResCare facility is located near Rio Grande on Cherry Ridge Road. It will hold six beds for clients with 24 hour supervision. 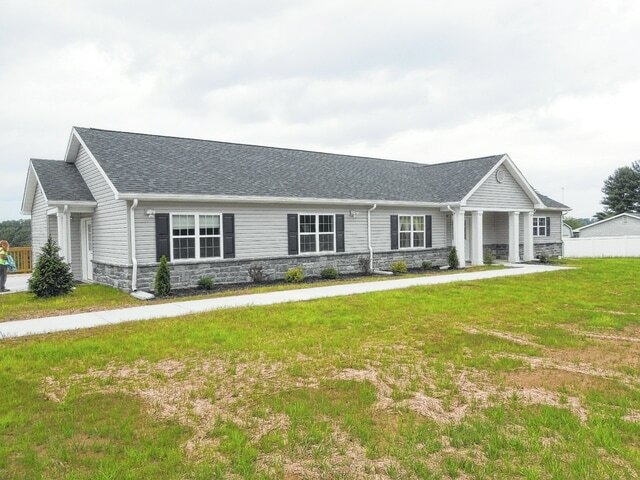 A group home for developmentally disabled adults went live with its services nearly three weeks ago, finally seeing residents moving in. ResCare, one of the the nation’s largest private providers of services for disabled people, owns the facility. The building has been the center of much community controversy within the last year. The facility is seeking to become part of Rio Grande but has encountered some difficulties. The facility in question is stationed on Cherry Ridge Road near the village municipality border and is contiguous with existing village property. Rio Grande village council members approved the move for the ResCare facility to become part of the village municipality in August 2014. Raccoon Township trustees voted against the annexation of the facility property the following month. The recent public hearing on the matter with the commission was to discuss the potential of county commissioners overriding the trustee vote in order to allow for the annexation of the property into the village. Noe said Raccoon Township lost nothing from the property being annexed for its small size. He said the village had much to gain from the annexation. Pat Canaday, a concerned citizen, of Cherry Ridge Road near the ResCare facility, stated his concern with the building. He said the building is too close to the road. He also said he does not approve of ResCare and called their reputation into question. He added that he fears the company will take business from local organizations that already support developmentally disabled individuals’ needs. David Smith, Gallia County Commissioner, referred Canaday to Ohio Revised Code 709.032. He noted that within the code, the commission must determine that an area to be annexed was not too large and would be beneficial to the municipality seeking to acquire it. Petitioners — in this case ResCare representatives — can approach the commission with a desire to seek annexation after having followed all legal proceedings and requirements. Easter noted that it was his job as mayor to make a town grow economically. He said ResCare approached him with the wish to help accomplish that. Raccoon Township trustees did not appear at the hearing. County commissioners said that they would not make a decision at the hearing but would consider it over the course of the next 90 days. Dean Wright can be reached at (740) 446-2342, Ext. 2103.